Death is still forever, but extinction may not be. A dead body can’t be reanimated once it begins to rot, but the essence of a species — its genome — survives rot for centuries, even thousands of years. That DNA knows how to make living animals, once we figure out how to invite it to do so. At the leading edges of synthetic biology the invitation is now being crafted. For some extinct species, regenesis is becoming plausible. “De-extinction” is the new word signaling a new capability at the intersection of molecular biology and conservation biology. For several years scientists have had the ability to reconstitute the genomes of many extinct species from their DNA in well preserved museum specimens and some fossils. Now it is gradually becoming possible to take the pure data of a reconstituted genome and convert it into viable DNA, piggy-backing on the living DNA of the closest living relative of each extinct species. The passenger pigeon (extinct 1914) might return via its relative, the band-tailed pigeon. The penguin-like great auk (extinct 1852) may swim again in the north Atlantic thanks to the closely related razorbill. 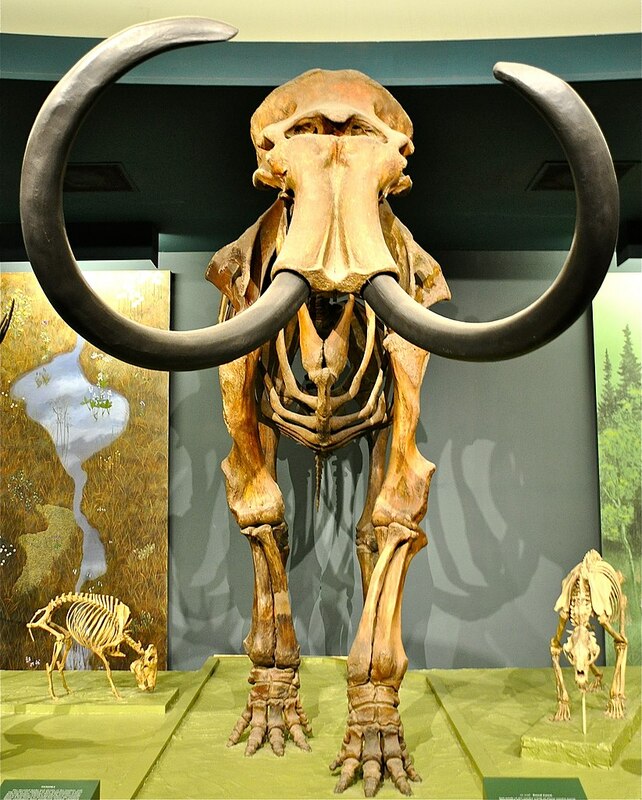 Even woolly mammoths (extinct about 2000 BCE) could use living Asian elephants as DNA proxies and surrogate parents. For molecular biologists the uncertainty at this point is not whether it is possible to edit living genomes — that has already been done for small sets of genes in micro-organisms. The question now is how soon it will become practical to edit whole arrays of vertebrate genes, and to know exactly which genes are the ones to edit. Since 2005 the tools and techniques of synthetic biology have been plummeting in cost and soaring in sophistication at a rate four times faster than Moore’s Law. Complete de-extinction techniques are not here yet, but at labs like George Church’s at Harvard and the Roslin Institute in Scotland, the technology is so close and accelerating so rapidly that major steps toward reversing extinction can be expected in this decade. The keystone function of passenger pigeons was as “ecological engineers” — animals that create or modify habitats for other species either structurally, as beavers do, or by moving nutrients around, as salmon do. Passenger pigeons did both. The pioneer conservation biologist Aldo Leopold described them as a “biological storm.” They were once the most abundant bird in the world, ranging America’s eastern deciduous forest from the Mississippi to the Atlantic. The dense flocks opened up square miles of forest to regrowth when the weight of their numbers broke branches, and the deluge of their droppings added nutrients to the soil. Their demise came because commercial hunters slaughtered the birds most efficiently just when deforestation of the eastern woodlands was at its maximum in the late 1800s. Since then the forest has grown back dramatically, ready perhaps for the return of the ancient ecological dance between the trees and the birds. Woolly mammoths were one of the most effective ecological engineers of all time. They dominated the largest biome in the world — the once species-rich grasslands of the far north. It has been called the “mammoth steppe” because they were the leading mega-herbivore, trampling the moss-suffocated tundra into grass, knocking down and browsing the species-poor boreal forest into grass, and recycling nutrients with their dung. In their absence, which was largely caused by early human hunters, the tundra and forest have taken over. The northlands of America and Eurasia are not only less biodiverse as a result, they may be exacerbating climate change. Whereas grasslands fix carbon, the tundra is thought to be releasing vast quantities of greenhouse gases as it thaws. The Russian geophysicist Sergey Zimov has made a strong argument for restoring the mammoth steppe as a climate mitigation strategy. Conservation biologists, intent in recent years on restoring the health of whole ecosystems, have been focusing ever less on individual species and ever more on ecological function. In studying the prospect of reviving certain extinct species they get to do both. I predict that the outcome of their deliberations will be, “Let’s do it — carefully, incrementally, hopefully.” I predict further that after all manner of fits and starts in the science, and no end of distractions in the public discourse, the dance of the passenger pigeons with their forest and ours will at last resume, and by the end of the century woolly mammoths will again tend their young in northern snows. Twelve birds lie belly-up in a wooden drawer at the Berkeley Museum of Vertebrate Zoology. Bloated with stuffing, their ruddy brown chests resemble a row of sweet potatoes. Slate-blue heads and thin white tails protrude in perfect alignment, except for one bird that cranes its neck to face its neighbor. A pea-sized bulge of white cotton sits where its eye should be. A slip of paper tied to its foot reads, “Ectopistes migratorius. Manitoba. 1884.” This is the passenger pigeon, once the most abundant bird in North America. When Europeans first landed on the continent, they encountered billions of the birds. By 1914 they were extinct. That may be about to change. Today scientists are meeting in Washington, D.C. to discuss a plan to bring the passenger pigeon back from extinction. The technical challenges are immense, and the ethical questions are slippery. But as genetic technology races ahead, a scenario that’s hard to imagine is becoming harder to dismiss out of hand. About 1,500 passenger pigeons inhabit museum collections. They are all that’s left of a species once perceived as a limitless resource. The birds were shipped in boxcars by the tons, sold as meat for 31 cents per dozen, and plucked for mattress feathers. But in a mere 25 years, the population shrank from billions to thousands as commercial hunters decimated nesting flocks. Martha, the last living bird, took her place under museum glass in 1914. Ben Novak doesn’t believe the story should end there. The 26-year-old genetics student is convinced that new technology can bring the passenger pigeon back to life. “This whole idea that extinction is forever is just nonsense,” he says. Novak spent the last five years working to decipher the bird’s genes, and now he has put his graduate studies on hold to pursue a goal he’d once described in a junior high school fair presentation: de-extinction. Novak is not alone in his mission. An organization called Revive and Restore is enlisting the support of preeminent scientists—and even the National Geographic Society, which is hosting the TEDx meeting on the topic today, to investigate putting the passenger pigeon back in the sky. The group has chosen Novak to spearhead the project. When the bird from the Berkeley drawer flew over Manitoba in 1884, it didn’t travel alone. Passenger pigeons were named for their passage up and down eastern North America in flocks several hundred million strong. To sustain long, strenuous flights, the birds devoured forests and left destruction in their wake. Ornithologist J.M. Wheaton described one flock as a rolling cylinder filled with leaves and grass. “The noise was deafening and the sight confusing to the mind,” he wrote in 1882. It was easy to tell where the pigeons had roosted: The trees were crippled, their branches cracked off and picked clean of nuts and acorns. For miles, the ground was coated with a layer of feces more than an inch thick. But the same flocking behavior also led to the bird’s demise. Their nesting sites in the northeastern U.S. were densely packed—as many as 100 nests per tree, each containing a single egg. Pigeon hatchlings were a smorgasbord for predators. Each helpless lump of fat, as heavy as its parents but lacking their aerial skill, would wallow in the nest for a day, then flutter to the ground. Even before Europeans arrived, hunters shot nests with arrows or knocked them down with poles. But in the mid 19th century, the railroad and the telegraph turned the pigeon into a national commodity. Professional trackers followed the flocks and descended on nest sites. Their tactics were brutal and effective: Firing into the trees brought down thousands of birds in one afternoon. Setting a match to the combustible birch bark forced terrified chicks to fling themselves from their nests. By the late 1850s, flocks were shrinking. By 1889, the population was in the thousands. Novak remembers learning about the pigeon in school. “I just fell in love with the story of it,” he said. “This absolutely bigger-than-life story of the most abundant bird on the planet going extinct so quickly.” But he wasn’t convinced that animals like the passenger pigeon were gone forever. “I thought that was too absolute.” As a student at Montana State University Novak studied ecology and evolution with the hope of bringing back extinct animals, but his focus soon shifted toward more modest population studies. “You’re kind of steered away from the science fiction when you go to school,” he says. When he started graduate school at the Ancient DNA Center of McMaster University in Ontario, Novak hoped to analyze genes from the bird that had captivated him as a kid. All he needed were samples from a museum specimen. Using next-generation sequencing, scientists identified the passenger pigeon’s closest living relative:Patagioenas fasciata, the ubiquitous band-tailed pigeon of the American west. This was an important step. The short, mangled DNA fragments from the museums’ passenger pigeons don’t overlap enough for a computer to reassemble them, but the modern band-tailed pigeon genome could serve as a scaffold. Mapping passenger pigeon fragments onto the band-tailed sequence would suggest their original order. Eager to crack the pigeon’s genome, Novak sent requests to 30 different museums for a toe fragment, and was rejected by all of them. He resigned himself to a thesis focusing on the mastodon, but he continued his pigeon research on the side. In 2011, Chicago’s Field Museum of Natural History offered him a sample. He sent the pigeon DNA to a Toronto lab for sequencing, using $2,500 he borrowed from a friend. Meanwhile, others were taking note of the revolution in biotechnology, including writer and activist Stewart Brand, best known for the Whole Earth Catalog, the late-1960s counter-culture guidebook. More recently Brand founded the Long Now Foundation, a nonprofit that aims to “provide a counterpoint to today’s accelerating culture and help make long-term thinking more common.” Brand saw reversing extinction as a conservation method of the future. He and his wife, Ryan Phelan, founder of the consumer genomics company DNA Direct, created a branch of the Long Now Foundation called Revive and Restore. They chose the iconic passenger pigeon as the first experiment. Revive and Restore hosted a meeting at Harvard University in February of 2012. Attendees included experts like Beth Shapiro, biologist David Blockstein with the National Council for Science and the Environment, and renowned Harvard molecular geneticist George Church. Shapiro was skeptical of the project’s goal from the start, but she decided to add her expertise—and her concerns—to the conversation. When Novak heard about the meeting, he contacted Church, Phelan and Brand to see if he could contribute. Recognizing his passion, Brand and Phelan invited Novak to help coordinate the project, and he abandoned his graduate program to begin formulating a step-by-step vision of de-extinction. His official title, according to the organization’s website, was “passenger pigeon reviver.” When Novak describes his revival scenario, his eyes shine with enthusiasm, but his tone is that of a matter-of-fact classroom lecture. With a wry smile, he presents de-extinction as if the futuristic science were already the stuff of textbooks. Getting from a strand of passenger pigeon DNA to a living bird is the last big step, Novak says. He will need specialized germ cells, which scientists know how to extract from chicken embryos, but not pigeons. He is investigating a work-around: extracting stem cells form band-tailed pigeons instead, and stimulating them to become germ cells. This feat has never been achieved in birds. However, Novak says, “Someone could make a major breakthrough in next two years.” Surmounting such technical challenges is only phase one of Revive and Restore’s plan. Novak hopes to set up a sanctuary of lab-generated pigeon chicks in the bird’s original breeding territory. He would then train homing pigeons to pass over the nest site, showing the chicks their ancestral migration route. Novak says passenger pigeons would restore balance to forest ecosystems, clearing brush and fertilizing soil. This strategy doesn’t make sense to Blockstein, who says “quote-unquote” before every mention of de-extinction. He doubts that any small population could survive long enough to reach its original numbers. If it did, he fears the bird would become a pest to farmers, consuming commercial berries and grain. Stanford University bioethicist Hank Greely shares this concern. “You’re re-introducing to the same geographic region,” he said. “But not to the same environment.” No governing body exists to make decisions about re-introducing an extinct species. Once the science is within reach, Novak says he will work with wildlife management authorities to set up a legal framework. Beyond the ecological risks, Revive and Restore has a bigger “why” question to answer. The argument that extinction is forever underlies important protections like the Endangered Species Act, Greely says. Why try to rewrite the passenger pigeon’s iconic cautionary tale? One possible answer: to do it responsibly before someone does it recklessly. The genomic tools of de-extinction may soon be cheap enough for students and DIY types to try on their own, Brand told an audience at the 2012 Aspen Environmental Forum. “I would like to see some kind of framework of how we think about that, before it goes totally amateur.” If an organized effort like Revive and Restore tackles a high-profile and tightly controlled project, it might bring scientists and the public into an important conversation, he argued. Shapiro, who is no de-extinctionist, sees value in an ambitious goal that unifies scientific disciplines. As Novak strategizes decades into the future, Shapiro still plans to focus on the more down-to-earth population genetics work that has been the focus of her lab. Revive and Restore will pay Novak’s salary while he works with Shapiro, but the project is not supporting her research financially. “I’m thrilled to be along for the ride,” she said. “I will do what I can to bring some enthusiasm and hopefully also some sanity to the problem.” In Novak’s mind, reviving the pigeon is not just about turning back the clock, but also demonstrating the exhilarating pace of science. “It’s actually going to get people more interested in the idea of conservation, because of how cool it is,” Novak said. Greely doesn’t dismiss this argument. He believes “a sense of wonder” is one of the most compelling cases for de-extinction. If Novak can convince the public and potential funding sources of that value, the passenger pigeon might do more than ride a wave of new technology; it might propel science forward. Whether or not we ever see another living passenger pigeon, its genetic code remains alive. The birds in their dark museum drawers may be more powerful now than when they swarmed by the billions. So maybe genetically recreating the Woolly Mammoth (Mammuthus primigenius) is a bad idea. Long extinct, the only chunks of DNA we are able to piece together to bring it back would have to be mixed into an Asian elephant. And over time, through a long process of trial and error, we could likely create a laboratory hybrid with the right combination of size, long hair, and cold tolerance genes expressed to at least visually recreate a Woolly Mammoth. A geneticist’s rendition of what a Woolly Mammoth should be like that in the end is a Frankenstein animal, no more realistic than the cartoons that artists render for our imaginations. And maybe the other figurehead of de-extinction, the Passenger Pigeon (Ectopistes migratorius), is the wrong way to go. We have fresh specimens from the early 1900’s, and technology from the poultry industry, but would need thousands if not millions of expensively engineered individuals to ever recover the enormous flocks that once flew over the eastern seaboard. Respected conservation biologists call de-extinction misguided, or at best a hobbyist branch of conservation biology. They loudly cry that it will take money from existing conservation efforts, create invasive species and worst of all lead to the political and public disregard for extinction. This last concern of disregarding extinction deserves more attention. As a field that is based on conserving species from extinction, de-extinction potentially pulls the foundation out from under the entire conservation biology movement in one fell swoop. If extinction is no longer forever, lobbyist and pro-development politicians should be licking their chops. Despite these objections, the consistent theme of the current National Geographic cover story and conference on de-extinction is one of hope. Hope that will distract us from the more common and depressing story conservationists have been pedaling for over 20 years – that we are ruining the planet by causing a sixth major mass extinction event at an unprecedented pace. Perhaps conservation biologists should look in the mirror and ask if what we are doing is working and if people are still listening. Jurassic Park may be science fiction, but it was correct in one thing – there is public interest that can be generated by inspiring people’s imagination and curiosity. If this is the first you have heard of de-extinction, know that this is happening. Even if you have deep reservations about genetically recreating species, there are no longer questions regarding whether we can do it. The train is leaving the station and we as conservationists need to be in front of it or on it, not be left behind. As you read this, Australian scientists are watching the cells divide in a future, genetically re-engineered Gastric-brooding Frog (Rheobatrachus silus and/or vitellinus), bringing the extinct species back to life. Thylacines (aka Tasmanian Tiger, Thylacinus cynocephalus) and mammoths will likely follow a few years later. It is pointless to try to block this from happening, but what if we were to direct de-extinction so that it strategically focuses on the species we most carelessly let go. We could direct the de-extinction train towards charismatic and ecologically important species we extirpated through simple overharvest like the giant oceanic island tortoises or Caribbean Monk Seals (Monachus tropicalus). By bringing them back we would almost undoubtedly gain both species and ecosystem function. It may not be the same ecosystem or even the exact same species, but it is a step forward in conserving biodiversity and a new, more popular, ecosystem. Yes I said popular, because in the end, with over seven billion people and counting, conservationists needs to accept that preserving species is a popularity contest. The Polar Bear (Ursus maritimus) only wins against gas development if people like them and advocate for them. For de-extinction, we could use the same branding that makes restoration ecology so attractive to the public (by selling hope that things can be restored) for conserving existing protected areas as well as neglected, novel ecosystems. Look at the success of large herbivore and carnivore restoration in South Africa, or tourism demand to see wolves in Yellowstone. There are certainly concerns to proceeding with de-extinction, but perhaps by embracing and defining the path of de-extinction, conservation biologists will not lose the foundation of their discipline, but gain support. This entry was posted in interspecies, research, sci-fi and tagged DIY, interspecies, nature, research, sci-fi, tech by secret santa. Bookmark the permalink.